Yarn | Next Line Quiz for "South Park "
Kapow! 🔥 Top Clips of South Park (1997) - S10E06 Comedy! 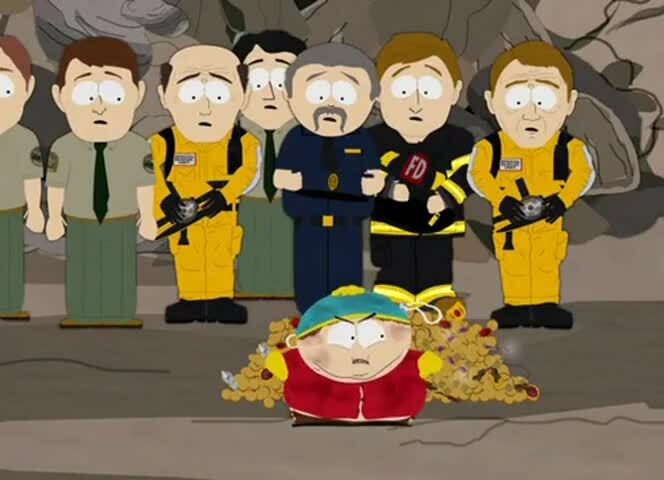 What line is next for "South Park "? Quiz: What line is next for "South Park "? Watch a short clip and then guess the next line. Yarn is the best way to find video clips by quote. Find the exact moment in a TV show, movie, or music video you want to share. Easily move forward or backward to get to the perfect spot. It's available on the web and also on Android and iOS. Share your score with friends! Click the line that's next YES! You got it NOPE, try a new one! Hey. That looks like the fake treasure from our Smugglers Den photo room. - That doesn't make any sense. - He could be half bear and half ManPig. Does anybody know who these kids are? Okay, let's get this meeting started.